Ottawa River natural - Clear strain? We were talking about this down in the Biology forum. Paraphrasing Larry Ramsell: Basically any natural population of muskies in a body of water or interconnected system is its own "strain". Location: St. Lawrence River When Larry talks about the 2 major strains of muskellunge, it makes a lot of sense to me and answers a lot of questions ive had... 1 strain being larger barred/spotted fish, capable of reaching larger sizes.. the other major strain, being the smaller dark green muskies we see from WI and some local river systems here, and other places. Location: Forest Lake, Mn. I'm not a biologist but it is my understanding that strain has to due with genetics and you can't tell that by looking at a fish. Coloration patterns can vary from clear, to spotted, to barred, to combinations of those. In some cases those color patterns all can be found in the same waters, I think. I know for sure that for years the MN. D.N.R. has produced a ID picture/sign that shows all three color patterns on it. As you can see from the links below, both MN. and Ontario use the same ID pictures. So, as I said, I don't think you can tell strain for sure just from a color pattern. Location: Hayward, Wisconsin Jake: Correction...the Ottawa River was decimated by logging and dams and in the 1950's it was hurtin' muskie wise...they then did start a re-stocking program and the fish they used may surprise almost everyone...Chautauqua Lake (NY) fish!! The recent genetics work done on the lower Ottawa and the St. Lawrence River at Montreal shows that most still have Chautauqua genes in them! Sometimes using a different strain can be beneficial, especially if the goal is BIG, FAST GROWING muskies!! Location: St. Lawrence River Wow. Thanks Larry. Sorry BigC, perhaps not a pure GLS. Location: Grand Rapids, MI The statement above is 100% correct, you CAN NOT tell strain by coloration that can only be determined genetically. Clear, barred and spotted are color variations that occur among all strains and even within genetically matching fish in the same water. Isn't environment the main factor in how large fish can get? Available kinds of food, size and makeup of the water, latitude? I always believed that fish can attain their maximum size if all conditions of where they live are perfect, kinda like a food plot for growing big deer. Goldfish in a 2 qt. fishbowl have already attained their maximum size when put into that bowl, but if the same goldfish is introduced to a southern fertile river (that does not have goldfish-eating predators) it can grow to an amazing size. Location: Hayward, Wisconsin hairy: To a limited extent yes, but genetics rule...if they don't have the right genes, they will NOT get big regardless of everything being environmentally right and lots of forage! As an example, we have had catch and release in the Hayward, WI area now for over 40 years, but yet there aren't lots of muskies here over 50 inches and 52/53 rarely shows up...just aren't the right genes. In a few lakes (which shall remain nameless) where the DNR stocked Mississippi River (Leech Lake) strain muskies, mid 50 inch muskies result. One lake which I will name, Nancy Lake by Minong, which had no muskie, was stocked with Leech Lake muskies. Nancy is a 700 acre lake that at the time of stocking was overpopulated with stunted northern pike and had a low forage base. Within 10 years of that first stocking, several muskies over 50 inches were caught, with the largest being 54 inches and 38 pounds! The DNR considered it a "failure", but there was NATURAL REPRODUCTION and trophy muskies are still being caught there. I know of a 55 incher caught there just 3 or 4 years ago. The right genetics (for trophy muskies) is EVERYTHING! As always, you are correct, sir! Location: Madtown, WI Didn't I just read an article in MH that the leech lake strain performed the worst in Illinois? Location: oswego, il Leech lakers perform poorly in illinois. They are stocked by clubs in the foc chain, few are caught. Every once in awhile a nice one does show up. Project green gene produced no leech lake fish over the age of 2 in it's study. Location: On the O Quebec used Chautauqua strain muskies for their stocking program for years, but I'm told that population is pretty limited in terms of "Ottawa River" muskie do to the Clarillon Dam just West of Montreal. Where I fish in and around Ottawa the genetic sampling that has been done (Dr. Wilson) has shown that the majority of fish come from French River strain of muskies. Splitting hairs at this point I know but it's been a great topic of discussion at our last two meetings for sure and thought I would attempt to clarify. Leech Lake strain fish in Illinois did great in some of the lakes they were stocked, especially some private lakes. Quite a few were caught in the Fox River, too. Perhaps better lake selection in which they did the study would have helped determine for sure whether or not Leech Lake strain fish do well in Illinois. The dams do not help considering these are river fish. Arent they all river fish? My biggest point was that they do not show up in numbers you would think they wohld in the fox chain. Those leech lakers are stocked in the northern two lakes. I would think if the survival rate was good you would see more caught there. I remember one year a guide catching a bunch of fresh stocked fish a year a bunch were released and didn't catch another the following year. Location: Rhinelander, Wisconsin This is a very complicated subject. 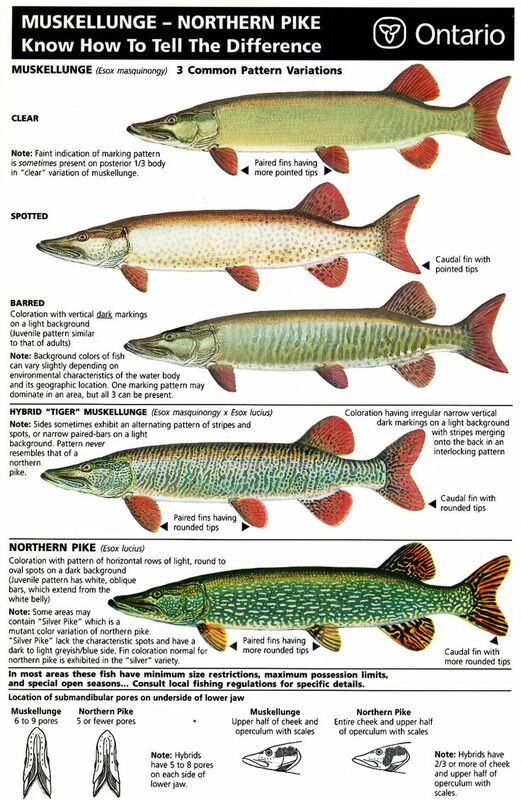 I suggest for a clearer picture of the 'it's the fish' debate, you read the many threads including those from folks who manage muskies for a living archived here. The Chain is one single body of water out of 50 in the state. Kind of silly to determine they do not do well in Illinois just because they don't do well in Pierce Lake and the Chain. McMaster and Storey spit out plenty of Leech Lakers in their hay-day. Location: oswego, il Actually, the chain wasn't even part of project green gene. None of the lakes in the study produced a leech lale fish past the age of two. McMaster is a gravel pit type laks with cool water and no escapement. Those lale types in illinois could probably produce adult leech lake fish. Are you sure storey had leech lake fish? Yes... Storey had Leech Lake fish. I know the Chain was not a part of Green Gene... but, they put them in there. I have seen some pictures of very large Leech Lake strain fish out of the chain and the Fox River... and got a 48 myself. They outgrow the Mutts significantly... and recently, they decided there were too many Mutts in one lake. 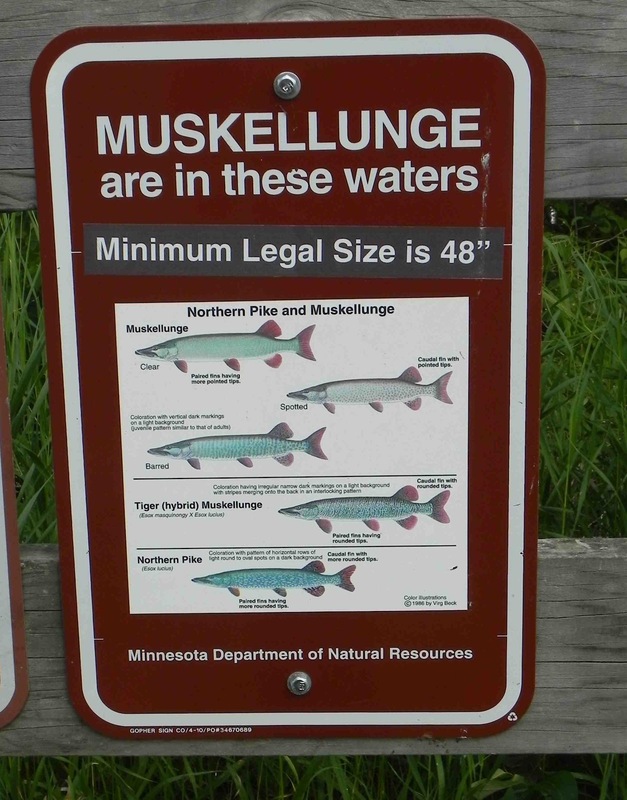 So, it doesn't seem like they want too many Muskies in the lakes to begin with. Wonder why not as many 50 inchers are being caught in Illinois these days? The last three I have seen have been Leechers... One from a private lake, one from Storey, and one from the Fox River. The longest Muskies caught in Illinois have been Leechers. Obviously, there are going to be more Mutts showing up considering they stock more of them. Location: Rhinelander, Wisconsin How about some real data? And please define what a 'mutt' is, what's the source of those fish and where are they stocked? Too much loose, completely baseless commentary going on. As many these days compared to when? What does that even mean, this decade? The last 20 years? Too many mutts in one lake? Why, because of the strain, or the sheer number of fish? Were there too many for the system to support, and how did that happen, overstocking or NR or both? What relevance does that have to this conversation? Did they stock the Fox with Leech Lake fish, or just concentrated on the chain? Does 1 fish from a system mean the experiment was a success? It's a well spent 37 minutes. "Use the search feature as this topic has been beaten to death." What relevance? They stopped stocking Leechers in Lake McMaster... but, they were caught regularly... up to 54 inches with SEVERAL 50 inchers. I was responding to Todd's comment... not the main topic. Now, in that same lake... after stocking it with nothing but "Illinois strain fish," they lowered the size limit and actually relocated quite a few fish. So, what do they want? They don't want a low number of Leechers or a high number of Mutts. Seems like they have no clue what they want... but, I will tell you most would prefer the fast growing, long Leechers. More useless commentary - the clubs stopped stocking Leechers in some of these lakes, because of money... well, seems like the state is going to be wasting money afterall with the number of fish being kept out of the lake now. Not setting a good example for catch and release. Location: oswego, il Steve the "mutt" musky comes from spring lake north, the brood stock lake for illinois. Those fish are a mix of fish from wisconsin, ohio, kentucky, iowa and possibly pennsylvania. There are people who dismiss the grene gene study. That study did not produce a leech lake fish over 2 years old. It showed the illinois fish to have the best survival rate, edging the ohio fish and the ohio fish edging the fib musky in growth. Edging being the key. To my knowledge there is no growth study data in illinois for leech lake fish. Yes, some leech lake fish reach adulthood in illinois. It does not appear that percentage is very high compared to the illinois fish. Given the numbers i have been told that clubs stock leech lake fish into the fox chain, few seem to be getting caught. There is also a conflict of numbers of fish stocked depending on wbo you talk to at one club. What the hell is this? I asked for some answers that should be reasonably expected from your comments. Back off, answer the questions so the comments are backed up, and continue on. Easy.